The following news articles were written by Jasmine Hockett. More than 30 University of Memphis students are mentoring 300 kids from more than three states next weekend at the PeaceJam conference, sponsored by the local non-profit organization, BRIDGES. The decade old event will feature Nobel Peace Prize winner and Iranian activist, Sharin Ebadi. Antonias Hawkins, second year volunteer, said the conference is a way to bring children from different backgrounds together. "It is an opportunity to learn the other side of things," Hawkins said. Feb. 19 at 4 p.m., Ebadi will speak to the general public and U of M students in the Michael D. Rose Theatre. The conference will kickoff on Feb. 20 and 21 at Rhodes College. 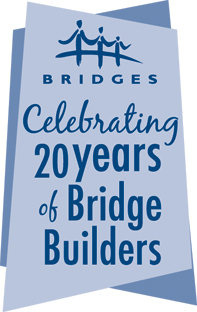 BRIDGES staff volunteer Zach Nahmias said this year's conference, themed "Human Security," was planned to zone in on making sure that every individual has what they need to be healthy. The two-day event is open to high school students for a $75 fee. Nahmias said he understood many students may have trouble paying, but scholarships are available. "We go so far as Kentucky to provide experiences for students," said Nahmias. "We have some students who can't even afford lunch, but it's inspiring when you see the kids all come together." Seven regions in the United States host PeaceJam conferences, with $40,000 devoted to the Mid-South Conference alone. "To host a conference like this, you have to show you can handle it," said Dana Wilson, Program Director of BRIDGES PeaceJam. Nahmias, a University of Memphis alumnus, said he began recruiting students for the conference last August. Volunteers from Rhodes College and Christian Brothers University help staff the event while The U of M's Student Activities Council is responsible for funding the Nobel Laureate as a public speaker. The laureate then volunteers his or her time to work with high school students during the conference. "The laureate we had last year, Jody Williams, was really phenomenal and she really connected with the youth of Memphis and the students who came down from Nashville," said sophomore Xavier Jones. "This year, I'm sure the impact will be different." Jones said the laureates inspire everyone to become active in whatever they are facing in the community. Students are encouraged to review and address the problems of their community. "Its all about getting involved and inspired," Jones said. "We just served as mentors, but actually making a difference in the students' lives was really beneficial and inspiring." The Herff College of Engineering at The University of Memphis has received a $300,000 donation, the largest in the college's history. Tennessee's own Oakland-based Ring Container Technologies donated the unprecedented amount, which will be used for the college's professors. Although the college hasn't decided how to divvy up the funds, administrators said they hope to keep quality professors in the college and better prepare students for the global marketplace with the money, which surpasses previous state contributions by $65,000. "We will use it to reward really great faculty or (get) a superstar from another program to come here," said Carolyn Oldenburg, the college's director of development. Carl Ring, chairman of Ring Container Technologies, decided to give the money to The U of M based on previous relations with faculty and staff. "(Ring) is not someone who likes to boast about what he does," said Ring's secretary, Mary Gail. A graduate of the Georgia Institute of Technology, Ring partnered with The U of M in 2005 to test the drainability of drainage systems that replaced gravel alongside roadways with popcorn kernels. Since then, Ring Container Technologies has hired several U of M students as interns and employees. "He really felt like this program gives a lot, not only to his company but also to the entire engineering community in the Mid-South," Oldenburg said. The professorships made possible from the gift money will be announced this summer. In the meantime, many of the college's professors are already thinking about how they could use the money. Jerry Anderson, director of the Ground Water Institute, said extra funding would help fill much-needed faculty positions. "It would benefit some research on ground water, help graduate students and allow us to hire postdoctoral students to help us with some things," Anderson said. In the past, professors who received funds found a variety of uses, including conducting individual research, hiring graduate students and funding more scholarships within the college. The money could also be used to create more professorships. Sidney Warren, junior engineering technology major, said the money could trickle down to students in the form of better teaching tools, among other things. "If the professors make the curriculum better or the labs better, then it's great," he said. "Our professors already show us how to do things and make sure everything is working right." Some Memphians are upset about a possible funding decrease for The University of Memphis and the University of Tennessee Health Science Center while UT Knoxville research funds may double to $400 million. During a one-week special session of the Tennessee General Assembly, Gov. Phil Bredesen proposed a bill that left out research funding for the Memphis area. "We are meeting with the governor now," said Kevin Roper, executive assistant on government affairs to President Shirley Raines. "We are working on an amendment to the bill." The amendment may include The U of M's interactions with several other research institutions and St. Jude Children's Research Hospital in hopes of getting more research dollars. UT-Knoxville and the Oak Ridge National Lab proposed collaboration to increase their research funds. According to Bredesen, it was not his idea to leave The U of M out of the bargain. He told Knoxville reporters that Memphians should "just relax a little bit," and come to him with their own plan. Provost Ralph Faudree, however, said U of M officials were not aware that they could or should submit a proposal. The U of M currently receives $50 million for research, which is one-fourth of what UT-Knoxville receives. "The money we receive depends on our initiatives," said Faudree, "not through the state." In a time of tremendous state budget cuts, many students and administrators said they wondered why such a large amount of money should be given to a single university. "This school is such a jewel that we do need the money," said Rosie Bingham, vice president of student affairs. "It's my hometown. It's my university. We should be supported too." This isn't the first year The U of M has faced financial woes. In Raines' first year at Memphis, The University was pulling in about $20 million a year in research and grant dollars. Since then, The U of M has boosted funding to $43.4 million in 2007. Roper said Shelby County legislators and University administrators are in Nashville this week to present for The U of M at the Tennessee General Assembly. The Cecil C. Humphreys School of Law welcomed students, staff and public into its new downtown location on Monday. A former post office, courthouse and U.S. Customs House, the historic building took more than three years and $42 million to renovate. Margaret Craddock, a graduate of the school, was one of more than 500 visitors to come view the riverside building. "It is very inspiring to be in such a historic place," she said. Associate law professor David Romantz spoke to visitors as they walked the building Monday. "The location is the biggest advantage of the school," he said. "Our students will have a lot more opportunities to intern and work in the field. It's a tremendous improvement." The law school admitted only 15 percent of 951 applicants in 2009, but Romantz said the added space brings hope for more students in the future. "There is limited staff and faculty, but a bigger facility," he said. "There is room to grow." The new location was chosen in 2006 after the law school received a letter stating that their accreditation was at risk due to a failure of the building to meet minimum standards. The problems included a limited amount of space, routine flooding of low classrooms during extreme weather and a lack of space in the law libraries for student activities and organizations. Now that the building is vacated, administrators will meet today to discuss its future uses. The "new" location was built in the late 1800s. Architects said they tried to preserve its historic aspect throughout the transformation. The 169,000 square-foot building now has 11 classrooms, two courtrooms and a four-story library. The school's North Wing has multiple study and seminar rooms, faculty offices and a bookstore. With a plethora of law offices and government buildings nearby, students and administrators said they hope that they will have a better chance at connecting with the legal community. First-year law student Courtney Smith said she was excited about being among the first to take classes in the new building. "The law school is pretty amazing," she said. "I walk around in a daze. It is just hard to believe this school is the same one." Open to students around the clock, the school is also available for public viewing between 7:30 a.m. and 6 p.m. 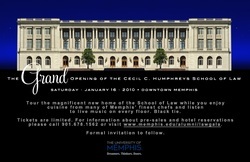 The law school will hold its Grand Opening Gala on Jan. 16 at 7 p.m. The invitation-only event will feature Gov. Phil Bredeson as the keynote speaker.